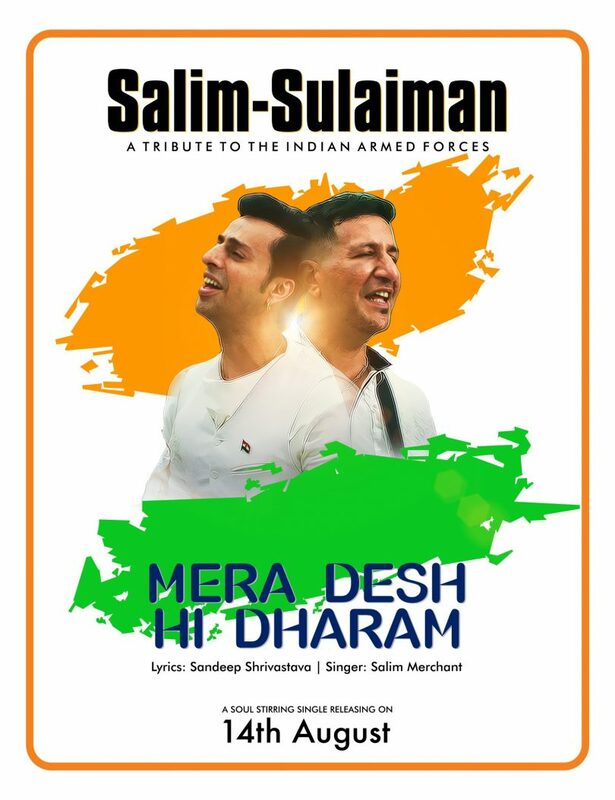 On the occasion of India’s 70th Independence Day Salim Merchant and Sulaiman gave a very wonderful tribute to our India. Pm Modi praised Salim Sulaiman for their beautiful composition and also shared the track on his twitter account as well. PM Modi said: Lovely rendition salim merchant Bhai and Sulaiman Bhai. You convey a very strong message through the video. Mera Desh Hi Dharam their latest composition is soulful song. This song lyrics is specially dedicated to Indian Armed Force who sacrificed their lives for the freedom and peace of our nation. It was wonderful gift to our music Industry on the occasion of 70th Independence Day of India. Salim said it is because of our Jawans only that we live in peace, it their sacrifice that maintaining the peace in our Nation. Look at the lyrics of the song, Vatan lut raha hai chaman jal raha hai, Utho nojawano watan ne pukara, Wo ek sar jo mange to lakho kata do, Watan hi to hai har wo imaa hamara, Bula raha tujhe watan lut raha tera chaman, Sar pe bandh ke kafan chal re chal re chal, Bula raha tujhe watan lut raha tera chaman, Sar pe bandh ke kafan chal re chal re chal. Very meaningful and beautiful message is given through each word of the lyrics. The lyrics of the song is given by Sandeep Shrivastava and music is composed by Salim Merchant and Sulaiman. Voice is given by Salim Merchant and opening of the quotes is done by O.P. Singh (Hindi), Dhiren Garg (English). Check the song video here and enjoy.